As of today Birdy is half a year old! 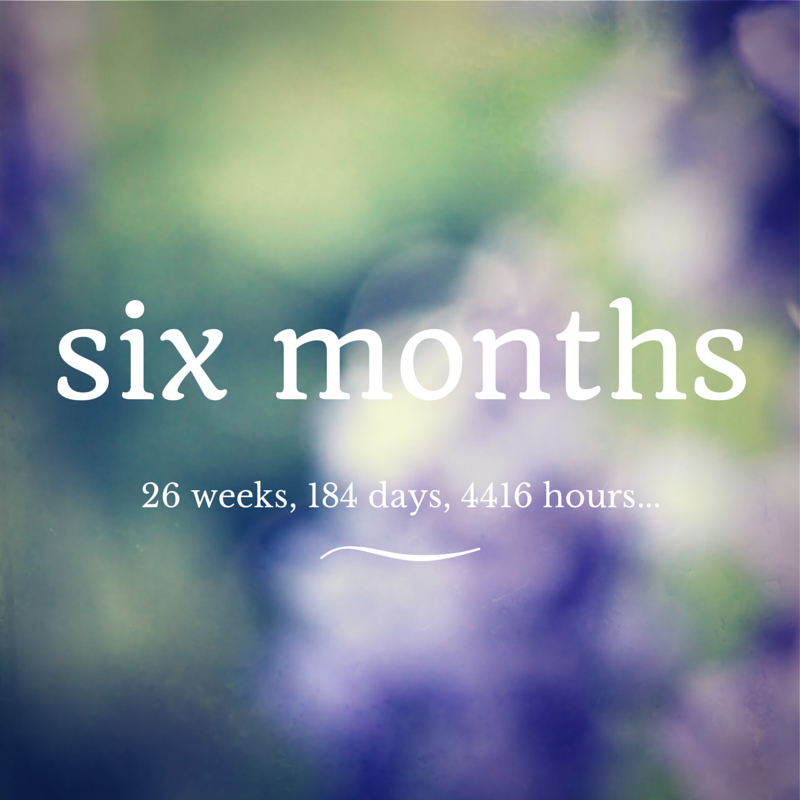 No matter how I count it – 6 months, 26 weeks, 184 days, or 4416 hours – it feels like a lifetime ago and like just yesterday at the same time. At what a six months it has been! I have evolved from someone who had never held a baby under the age of one and had never even seen how a diaper is changed (not that I did not have the opportunity, mind you, I was just really good at avoiding these things), to a fairly well functioning mommy. So many things that I did not have the slightest idea about – baby development milestones, sleep patterns, breastfeeding, or introducing solids – seem so simple and self-explanatory right now. But this is nothing compared to what Birdy has achieved in this short time. She has grown almost 14 centimeters and gained almost 4 kilos. From a tiny human being that just slept, ate, and filled diapers, she has developed into a determined baby who is all smiles and laughs, who can roll, and turn in circles, and even move forward a little bit. Love this! Congrats! 6 months is so cute!